Olive tree – "Liquid Gold"; this precious gift of nature is a living heritage, linked to many areas of our lives. The olive tree is a symbol of tranquility, fertility, peace, wisdom, victory. Its branches were made "kotinos" wreaths to crown the winners of the Olympic Games and the precious juice of its fruits, olive oil, was the prize for the winners of the famous Panathenaic Games in honor of goddess Athena. In ancient Greece the olive tree was known for its benefits and usefulness. Hippocrates, the father of medicine, believed in the healing properties of olive oil. He referred to it as the "ideal treatment". Ancient Greeks used it to heal wounds, treat insomnia, cholera, moisturize and soften their skin. It is a known legend that goddess Athena donated an olive tree to the citizens of Athens in order to win Poseidon and be elected patron of the city. That is the reason the city was named after her. Today, the olive tree is still one of the most useful trees due to its many benefits. The delicious olives, the oil that is considered the most rich and wholesome vegetable oil recommended in all diets for its medicinal properties and beneficial effects on human health, since its constitution of good fatty acids, monounsaturated, is greater than those of polyunsaturated. It helps in reducing bad cholesterol, affects the prevention of cancer, and slows aging process due to the vitamin E it contains. 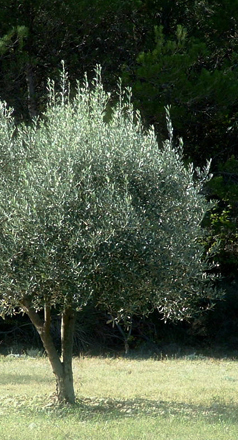 The olive tree is also used in medicines, cosmetics and green soap. Olive oil nourishes, sustains, protects, tones, heals, inspires. It is worth to know and learn its priceless value in nutrition, health and culture.